Craving a taste of the French capital but can’t leave your city just yet? 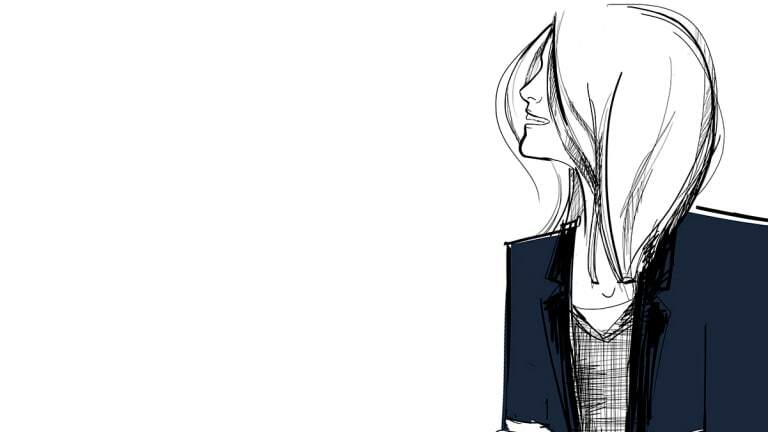 Well, the only practical solution is to bring the city to you—through your wardrobe, that is. Just because you can’t go to Paris yet doesn’t mean that the Parisian inspiration can’t live on through you and your dress, right? 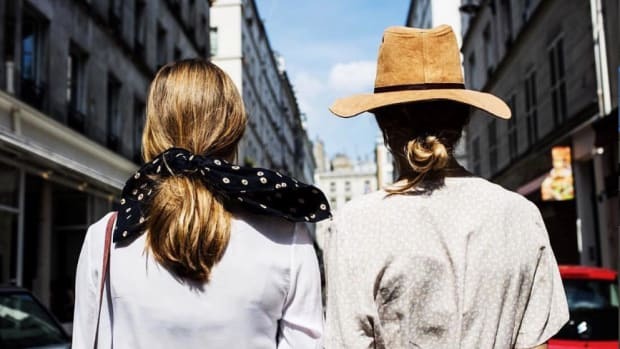 From crisp whites and Breton striped shirts to slip-on loafers and ballet flats, channel the effortless French chic from head to toe through these wardrobe essentials borrowed from no other than the French woman. 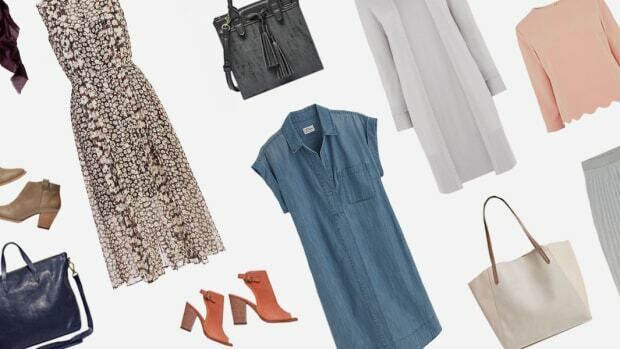 One thing to remember about the French woman’s wardrobe is that it is filled with quality basics—staple items in neutral colors (white, black, gray, cream) that she can wear again and again. 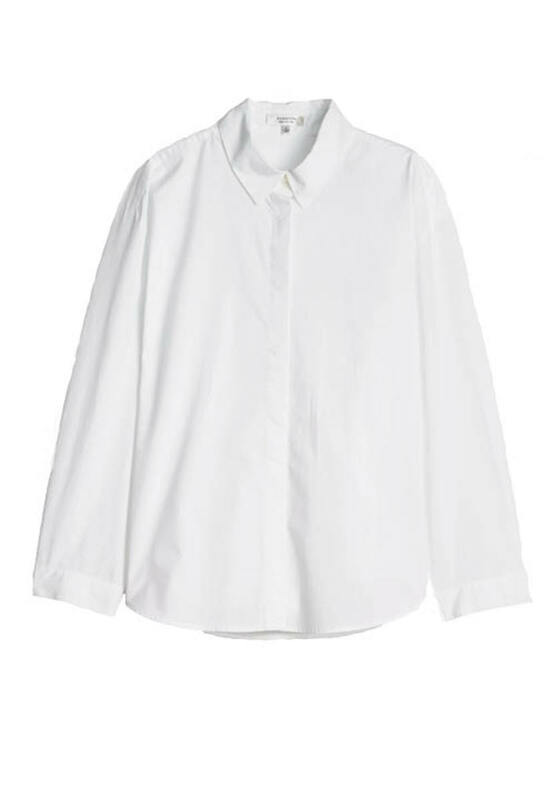 The crisp white shirt is the perfect embodiment of this, and it can be worn both casually with a pair of faded jeans or more elegantly with a black satin ribbon tied around the neck. Check out Everlane’s Slim Stretch Poplin Shirt as an option. 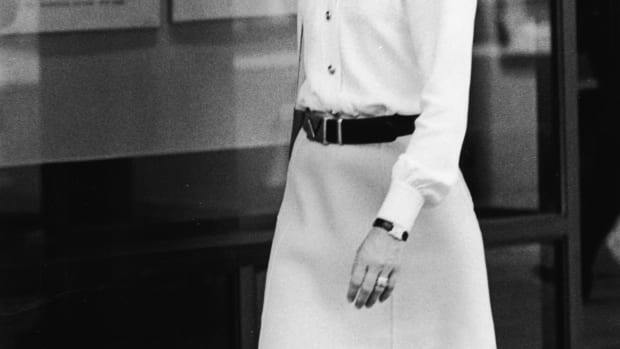 What else will you wear your crisp white shirt with other than a tailored pair of slim, black cigarette pants? 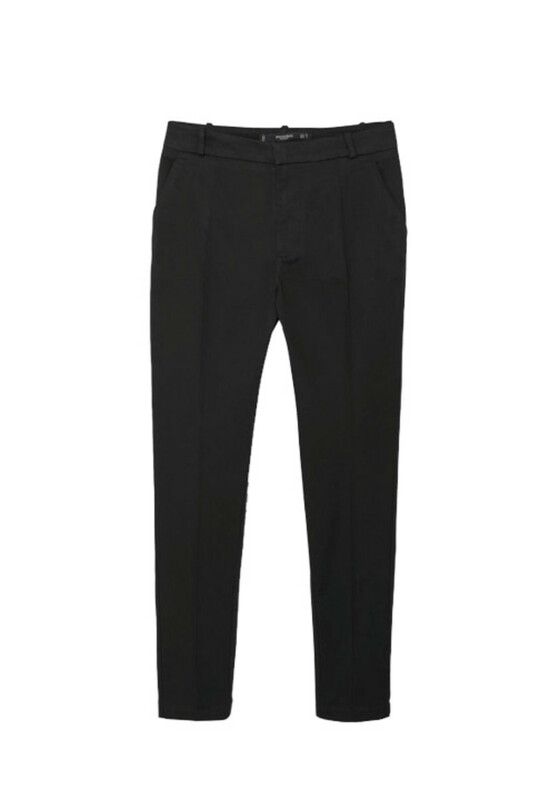 The black cigarette pant is flexible and never loses its power, whether it’s worn with a pair of ballet flats or a black power stiletto. This piece is a definite staple and can serve as one of the backbones of a French-inspired wardrobe. Grab this pair on Asos for a sharp well-priced version. 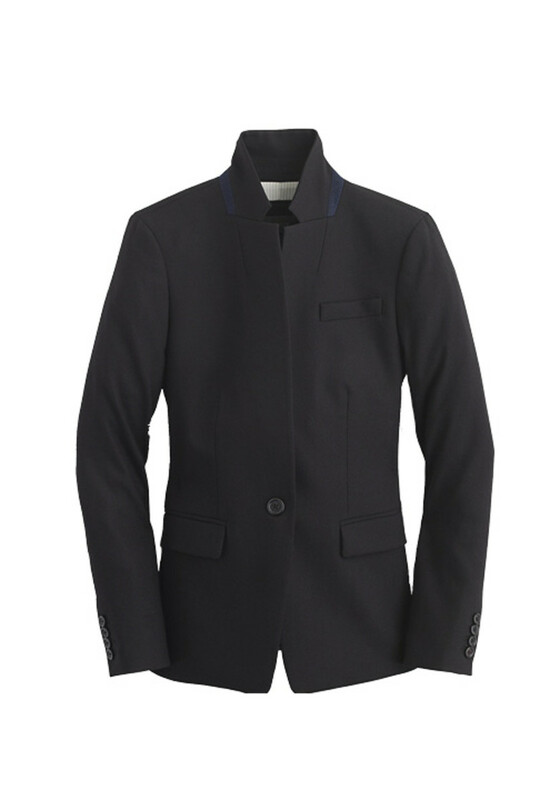 The blazer is a perfect finishing touch to a simple yet elegant outfit. A well-fitting blazer can tie the whole outfit together in a polished manner. Don’t be afraid to play with variations on the blazer. A longer one that stops a few inches after the waist can add a slimming effect, and a blazer that resembles a tuxedo jacket can give you instant allure à la YSL’s famed smoking suit look, especially when paired with items one and two and topped off with a black satin tie. I don’t know why, but somehow, the Breton striped shirt works with anything and everything. 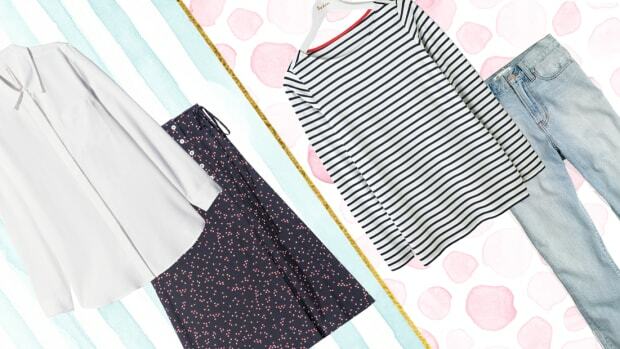 Whether you’re dressing up or dressing down, adding this to your wardrobe will give you French flavor in an instant. 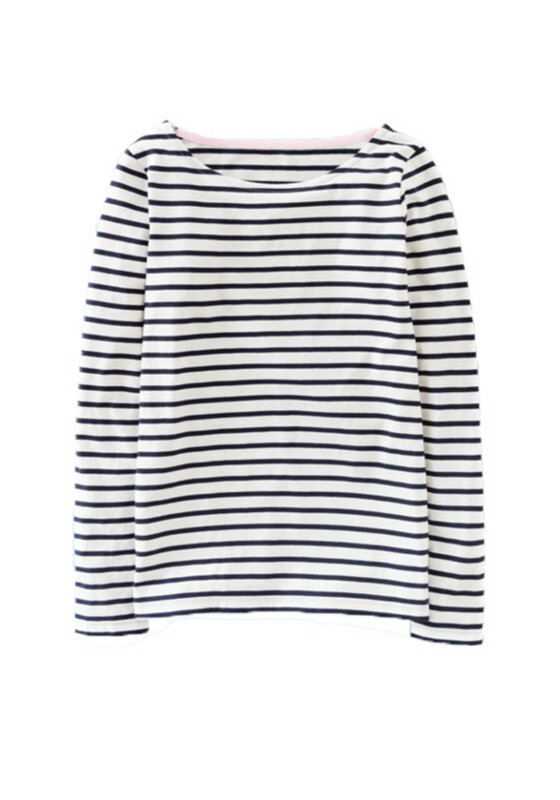 Originally a shirt made for a French navy seaman’s uniform in the Brittany region (the stripes made it easy to spot a seaman caught overboard), the now iconic piece rose to fame after Coco Chanel introduced it to the fashion world after the first World War. 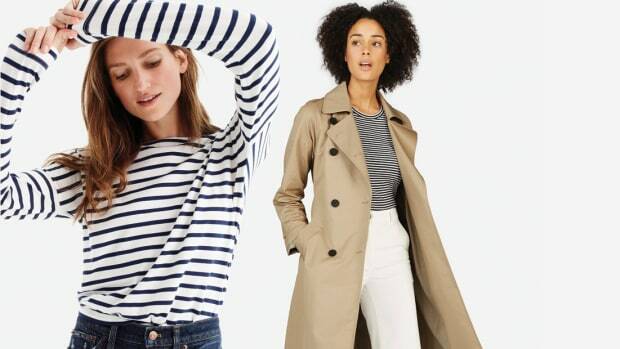 The Breton shirt, also known as the Marinières, further established its icon status when French designer Jean Paul Gaultier chose to repeatedly incorporate the stripes in his fashion collections over a forty-year career. Its enduring appeal is a testament to its ever-so-chic ability to polish off any outfit. Pair a white-collar shirt, simple sweater, or a Breton shirt with a scarf or neckerchief, and you’ve got yourself a special French touch. 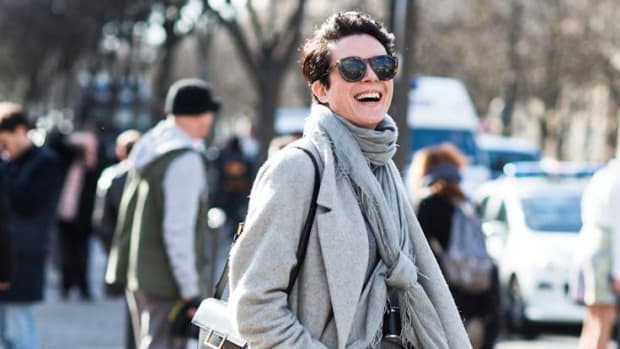 When done right, a scarf can be the final accent that ties the whole outfit together. 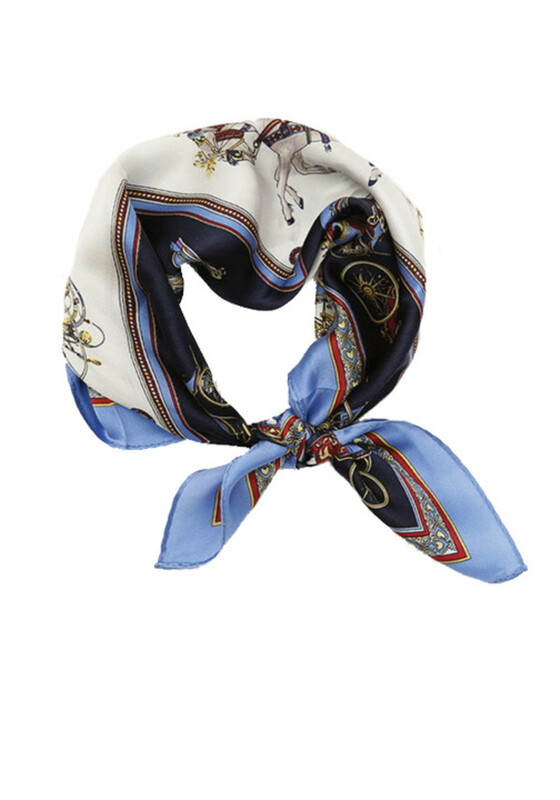 Tip: Download Hermes’ free app on how to tie scarves in different ways, or read this Vogue article for more creative ideas. I have this theory about the ‘effortless’ look of French women: It probably looks effortless because it feels like such. With an easy pair of flats, life probably feels a lot less laborious. Don’t get me wrong, French women do love their high heels, but during the daytime, they’re often strolling the streets in handsome loafers or classic ballet flats. Take your first step into the Paris lifestyle by grabbing a pair of sleek loafers from Office or taking the classic route in these Repetto ballet flats. There you have it, six key wardrobe pieces to have your look ready for the French spirit of l’art de vivre. Just throw on a good red lipstick, leave your hair a tad bit undone, and take a nice sip of a strong espresso, and you’re good to go. À tout à l’heure!